Legion: The Eternal War is a medieval fantasy MMORPG set in a Tolkien inspired world with a rich lore and diverse biomes to explore as you combat a darkness that’s spreading across it. 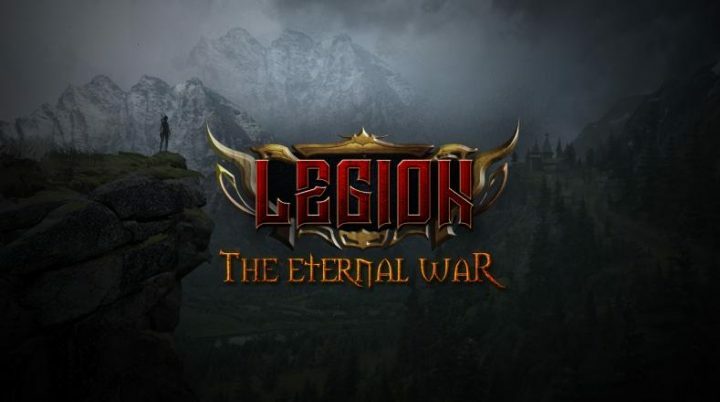 Previously featured on Alpha Beta Gamer a year ago, Legion: The Eternal War takes place in a fantasy world where an alliance between Humans and Elves has been broken and a darkness has began to take hold of the land. An ancient evil is stirring, corrupting and growing in power. Will you be able to save your world or will it be condemned to an eternal war? You’ll be able to form an allegiance with the Humans or the Elves as you delve into a world shaped by more than 60 years of in-game lore. It promises diverse biomes to explore, lots of monsters and villains to battle, quests to complete and loot to collect. It also features PvP and PvE gameplay with ranged, magic and melee based combat with you’ll levelling up your skills depending on your activities – so fighting with an axe will make you more skilful with an axe. It’s still early in development but it’s a promising game with a lore-rich fantasy world to explore and defend from the darkness. We have 300 Steam Alpha keys to give away for Legion: The Eternal War! To enter just carry out any of the actions in the widget below. Winners will be notified on the 6th of April. UPDATE: Due to a delay in development the servers won’t be live until the 28th of April. We’ll send out the keys then. Have winners been notified? With 534 entries, and up to 5 entries per person, that means that anywhere from 106 to 534 people entered. I suspect most had multiple entries, so there is a high probability that the number of people submitting was less than the 300 steam keys available. Please confirm, thanks!